Billions of animals being killed every year for human use. That’s a hugely staggering, depressing number. But it doesn’t have to be that way. From volunteering to sharing vegan content on social media, there are lots of ways to get involved. And some of them won’t even cost you a penny. Most all of us love animals. What better way to show that love than by leaving them off of our plates and out of our closets, medicine cabinets, and showers? Going vegan is the most important thing you can do to help animals. Plus, it will have a significant, immediate impact. Humans use animals in millions of ways, some more obvious than others. Removing animal products from your life isn’t impossible, but it does take some knowledge and practice. The good news is that the more you know, the easier it is. Explore the extensive vegan guides library for must-know information to help you make informed choices on everything from what’s on your plate to what’s in your closet. 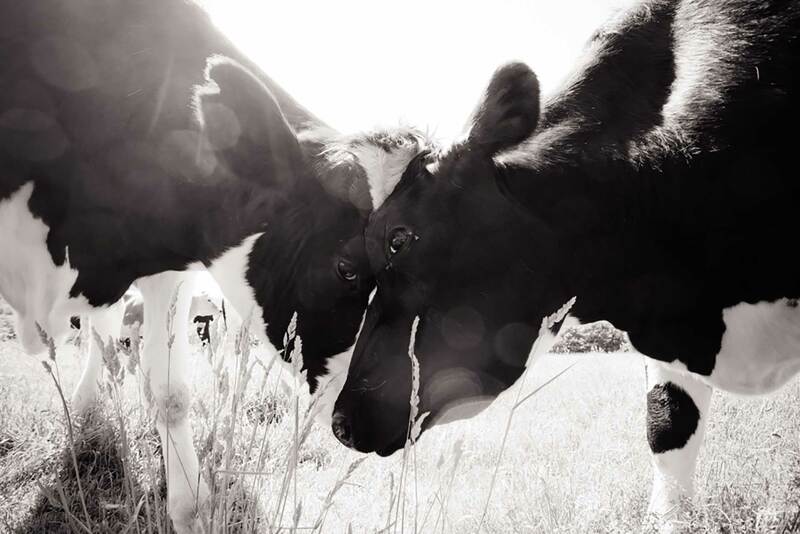 Sharing our vegan voices is one of the most important ways we can advocate for animals. Writing a vegan blog is perfect for that. Most people don’t want to hurt animals. They don’t realize that a non-vegan lifestyle does that. Exposing people to veganism gives them an opportunity to make informed choices that are more aligned with their own beliefs. And it helps animals. I know that talking about domain names, hosting plans, themes, and plugins can get confusing. That’s why I’ve put together a step-by-step tutorial on how to start a vegan blog to walk you through the process. Starting a vegan website is a great way to combine your love of animals and vegan activism. Begin a blog that matters today. Perhaps the most straightforward action on this list is also the most important. Make your home and garden animal-friendly. For inside animals: Keep them safe by using non-toxic household cleaners. Check all houseplants to make sure they aren’t poisonous if ingested. Provide ample space to play with toys to help stimulate their minds. Turn off the lights! Doing so helps reduce the estimated 100 million birds who die every year from collisions. For large windows, apply window film in a pattern to prevent birds from hitting them. I recommend Collide Escape. It’s the only bird collision prevention film on the market that is certified to permanently stop all migratory, startled flight and territorial aggression bird collisions with glass. It’s guaranteed. Help animals by not using pesticides or insecticides on your lawn. Provide water, food, and shelter for birds, bees, and other keystone pollinators. Plant a pollinator-friendly garden. Don’t purchase animals from pet stores or breeders. Millions of animals die every year in shelters and on the streets. Instead of shopping for a companion, adopt a homeless animal. Spay and neuter companion animals. This will help animals by reducing the number of unwanted and homeless animals. Do not attend — or take children to — circuses, rodeos, or state fairs that use animals as entertainment. Often, these places contain abuse, neglect, and horrible conditions for animals. These places can be a busy hub of activity, and parents might worry that skipping them mean their children are missing out. Not so. There are plenty of alternatives that help children connect and learn more about animals, such as visiting an animal sanctuary. Here is a handy guide to family-friendly alternatives. Do not attend — or take children to — zoos, petting zoos, aquariums, or marine parks. Despite their commonly cited benefits, these places are no home for animals. Even at their best, they can’t replicate or replace animals’ natural habitats. Animals spend lives locked in cages, unable to run, roam, fly, climb, or forage. Especially relevant, they’re prevented from choosing a mate, raising a family, and being with others of their species. RELATED READING: Do Vegans Support Zoos? Much like other places that use animals as entertainment, zoos and aquariums can be a busy hub of activity. As a result, parents might worry that skipping them means that their children are missing out. Not so. Animal sanctuaries are veganism’s greatest advocates and the perfect alternative to visiting a zoo. They are a physical space that allows people to “connect with animals” in a way that zoos and places like them cannot replace. Visitors can interact with animals in a peaceful and natural setting, allowing a greater understanding of their lives as individuals. Find an animal sanctuary near you. Clothing made from animal products tends to be overlooked by many people because it’s production doesn’t require the death of an animal. Like fur, for example. Rather, this is untrue. As a result of lessening productivity, every single shorn sheep, goat, or rabbit will face slaughter. In the end, all of the animals die. There’s a better way. Vegan fashion – animal-free clothing, shoes, and accessories – have never been more accessible, or more fashionable. Before you go shopping, learn about the lives of the animals we use as fabric and accessories. Get everything you need to know in this vegan fashion guide. Use your dollars to send a strong message that animal testing is outdated and unnecessary. Be sure to support only those companies committed to no animal testing. Find the most up-to-date list of cruelty-free companies and a free shopping guide at LeapingBunny.org. Amazon Smile is an easy way for you to support your favorite charity every time you shop. There’s no additional cost to you either. When you shop at smile.amazon.com, you’ll find the same prices and selection as with Amazon.com. The bonus is that Amazon donates a portion of the purchase price to your favorite charity with every checkout. It’s not much but it can really add up over time. Use GoodSearch.com when you browse the internet or shop online. GoodSearch.com is a search engine that donates money to the charity every time you use it. You get to pick the charity. It’s free to use and there’s no cost to you. We live in a special time. The opportunity to make a difference is higher than at any time in history. Gathering people behind a cause used to be difficult. It required lots of time and money. Not anymore. Technology has made the world more connected than ever before. No one is powerless. Creating change can be a part of everyday life. Start a petition or find one to support at Change.org. Engage with the public and help to educate the people about veganism. Be kind and respectful. Leafleting — passing out information about veganism — is a standard way that advocates promote veganism. Vegan Outreach passed out almost 3 million leaflets in 2012 alone. Other groups have passed out millions more. It started in the fall of 2012. Compassionate Communities teamed up with The Humane League to measure the impact of leafleting on college campuses. What happened next according to the study was terrific. For every 100 leaflets distributed an estimated 50 animals a year are spared. That works out to one animal for every two leaflets distributed! If you plan to leaflet there are a few things to know first. In the US, the First Amendment grants you the right to leaflet on public property. This includes public sidewalks, state-funded universities and community colleges, and any public streets that go through college campuses. You may also have the right to leaflet at festivals held on public property. If you are ever asked to stop by police, just leave. You should not encounter any issues as long as you stay in public areas. A picture can be worth a thousand words. A feature-length film? Lots and lots of words. Help animals by hosting a movie night that features a vegan movie. Host them at the local library, university, cinema, movie theater, or even in a living room. You’ll need things like a projector, screen, DVD player, and the cords to connect everything. Also, consider using a microphone to welcome people, introduce the film, and answer questions at the end. Discover titles to share in Vegan Flicks, a library filled with TV shows, films, movies, documentaries for the compassionate vegan and vegan-curious. Finally, it features a separate guide on what’s currently streaming on Netflix. Object to animal dissection in your science class or degree program. There are alternatives that help animals, which you can bring to class: www.interniche.org. Ask your school, university, or cafeteria to offer more vegan options. This sample letter written by the Physicians Committee for Responsible Medicine (PCRM) is available and free to use. Keep phone numbers to local animal shelters, rescue groups, and rehabilitators stored on your phone. Then you’ll be able to call someone if you find an injured animal who needs help. See a dangerous situation for an animal? Speak up and call the authorities. Carry a Compassion Kit in your car. It’ll come in handy if you need to transport an animal to a shelter or hospital. Finally, carry a tasty treat or canned pet food. Use it to help lure animals away from dangerous situations or into carriers. All of these items are available at pet supply stores. To have the money to operate, animal sanctuaries and wildlife rehabilitation centers need supporters. Become a member and help animals. A lot of groups have programs for supporters to sponsor animals currently in their care. These sponsorships pay for things like food and veterinary costs. Some organizations even offer members-only benefits such as pictures of the sponsored animal, exclusive newsletters, and discounts at sanctuary shops. Sanctuaries, rehabilitators, and other animal organizations are always looking for donations. Host a fundraiser or vegan bake sale. Then donate all of the proceeds to your favorite group. Not sure which group to choose? Find hundreds of choices in the sanctuary directory. Have your gift be matched! Some employers will match charitable contributions. If your workplace raises money together, suggest an animal organization to receive the gift. Losing a loved one is never easy. Neither is finding the perfect way to honor their memory. Making a special gift is a lovely tribute that provides life to an animal. Wishlists are lists made by sanctuaries and rescue groups of items that they need to help animals. These items can range from household goods to office supplies to professional services. To begin, view the sanctuary wishlist that has the most commonly requested items that most organizations need. Then, contact your favorite sanctuary, rescue group, or wildlife rehabilitator to see where you can take your donation (or if it needs mailing). Did you know that your used vehicle could be useful to an animal sanctuary or rescue group? It can! And if the group is a 501(c) nonprofit, you get a tax benefit for doing so. Making a stronger, more influential vegan world begins with you. Live kindly. Inspire by example. Create new traditions with family and friends. Don’t set aside your ethics. If you do, other people will too. Respect yourself and your ethics. Others will respect you for it. And if they don’t, it’s okay to have feelings about it. But don’t let opinions sway you. Everyone may have an opinion, but the only one that matters is your own. 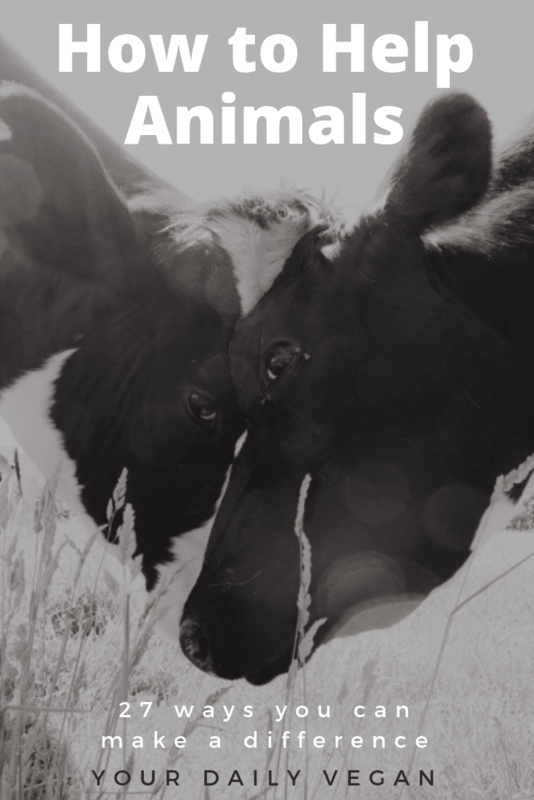 Share animal-friendly blogs, information, graphics, and events on social media. Sharing content brings attention to the plight of animals. Most of all though, educate with kindness. I am committed to providing accurate information to the vegan community. Meticulously researched, the topic explored in this article contains the knowledge available at the time of publishing. Reviews and updates happen when new material becomes available.